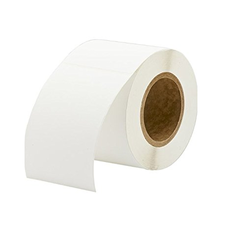 Our product range includes a wide range of dot matrix labels, file hole guard labels, adhesive label, a4 sticker label, chromo label and fluorescent labels. The widest range of high quality Dot Matrix Labels we offer to customers are tested for their quality as well as durability before they are send at clients end. These labels are made of high quality raw material, which is procured from reliable sources. We are capable of providing customized solutions to our clients and offer the range to them at the most competitive prices. 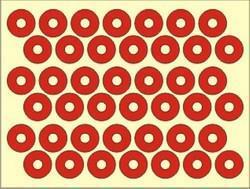 We have gained expertise in delivering a quality range of File Hole Guard Labels. The labels offered by us are designed and printed keeping in mind the diverse needs of the customers. 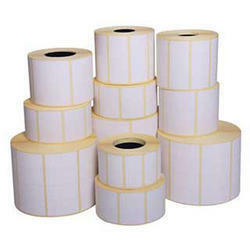 With vast industry experts, we are offering our clients varied collection of Adhesive Label. These are generally appreciated by our clients for their superior quality, durability and designs. 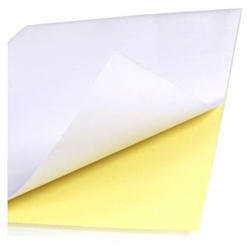 For the fabrication purpose, we use quality papers and best grade of inks. We offer large sized A4 Sticker Label. Designed by our well trained production team, it is produced using modern ways and quality material. Enormously applicable for promoting products in the market, these labels are available in A4 sizes and can be customized as per clients specifications. 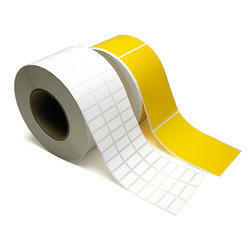 In our wide range of products, we are manufacturing Chromo Labels which are extensively used in printing labels. These are basically high gloss papers which are also available in variety of slit widths and roll lengths. 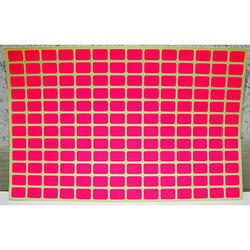 We are specialized in manufacturing and supplying a broad assortment of Fluorescent Labels. Available in various colors, designs, shapes and sizes, these are acknowledged for their stylish looks, compact look and enhanced durability. Our skilled quality controllers vigilantly examine these products on various parameters to ensure their flawlessness. Apart from this, the offered products can also be availed by clients from us at the most reasonable price range. 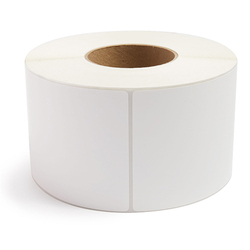 We are one of the most important suppliers of Custom Thermal Transfer Labels that are designed by professional designers and fabricated with high quality materials. As a quality-oriented organization, we are focused to provide our clients excellent quality BOPP Labels. These labels designed at our high-tech manufacturing unit using finest grade plastic film and modular machines in adherence to set industry norms. 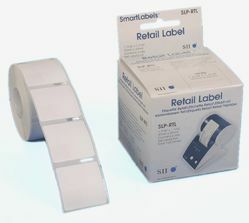 Our offered labels are widely used for packing and labeling objects. Further, these labels are made available in different colours, thickness and prints to meet vast necessities of various clients. Backed by the profound industry experience, we are presenting vast variety of Direct Thermal Label. During the printing process, these require use of heat activated thermal papers and films, and does not require ribbon. Over time the labels darken, particularly when subjected to heat and sunlight. Moreover, before the final delivery, all our thermal labels are thoroughly checked by the quality analysers on varied parameters to ensure their flawlessness. 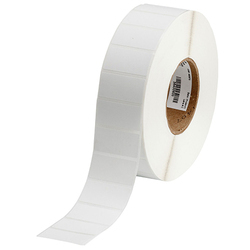 In our wide range of products, we are manufacturing Paper Labels which are extensively used in printing labels. These are basically high gloss papers which are also available in variety of slit widths and roll lengths. 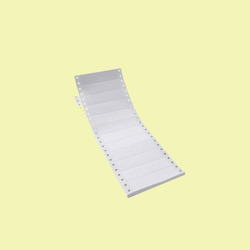 Our organization is counted among the leading manufacturers and suppliers of highly demanded Blank Labels. Manufactured from superior quality raw materials, these labels delivered as die-cut blanks on various forms such as rolls or sheets. 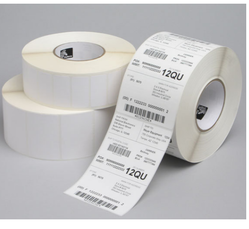 Offered labels are used for product identification, tracking, inventory control and many other applications. Our labels are widely demanded in logistic, shipping and garment industries. The labels, we offer are available in user defined thickness and dimensions. We are offering Infusion Labels. 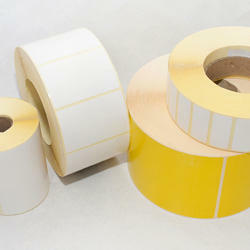 Looking for Plain Self Adhesive Labels ?